Once upon a time, there lived a lion in the jungle. He was very powerful and strong. All the animals of the jungle feared him. But slowly with time he got tired of hunting. He called all the animals of the forest and passes an order. 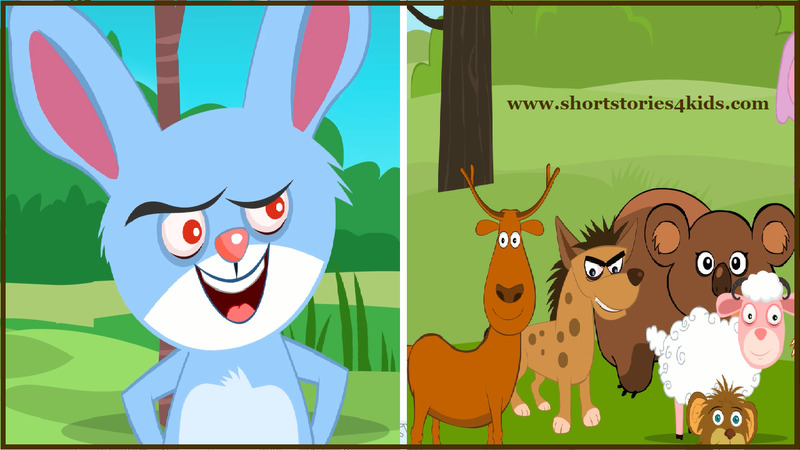 "I would stop hunting down the animals in the forest, and in return, you would send one animal a day to my den. Where I would kill the animal and eat it as my food". All the animals feared the lion's anger started to obey this order. 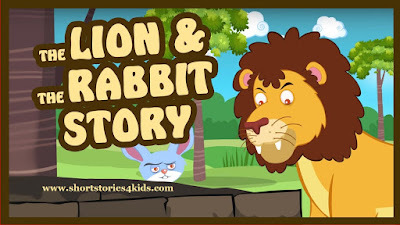 One day it was the hare's turn to go into the lion's den. He was very sad. On his way to the lion's den, he came across an old well. He looked into it it was very deep. As he looked an idea struck him. 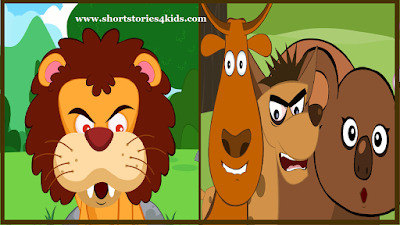 The lion was very angry that no animal had come that day. 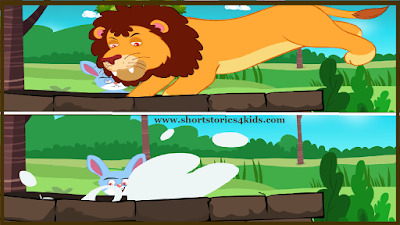 The hare slowly came towards the lion. The lion roared "Why are you late?". The hare humbly replied, "On my way, I happened to meet another lion in the jungle. He kept claiming himself to be the king of the jungle and wanted to eat me. I got away with much difficulty to give my life to you, your majesty".The lion was pleased with the hare. But the thought of another lion in the jungle made him angry. 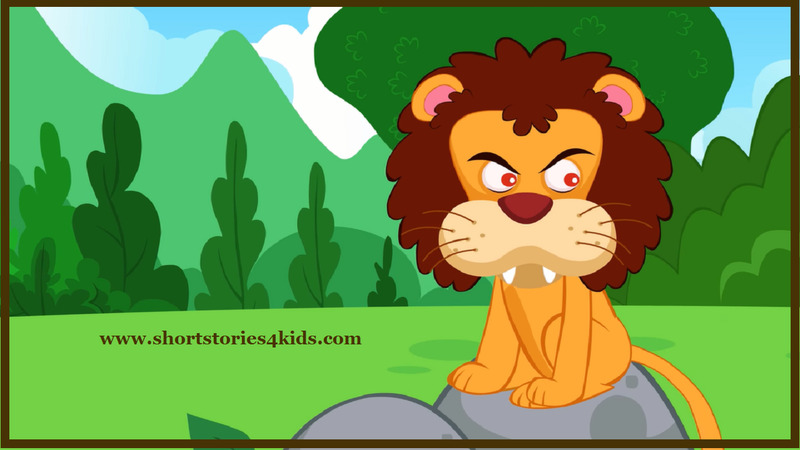 The lion roared " Do you know where he lives?". The hare replied, "yes, sir please come with me". 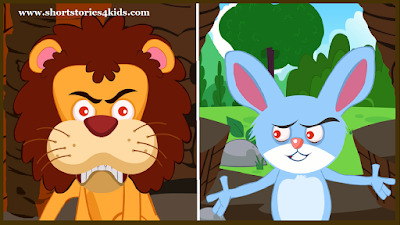 The hare took the lion to the old well. He said, "Sir, that lion lives in this well". The lion peeped into the well, he mistook his reflection for another lion. He roared and there was an echo. He thought that the other lion was roaring too and jumped into the well. 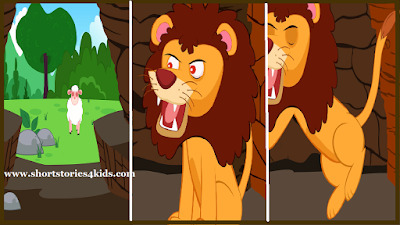 That was the end of the lion. The hare succeeded in his plan and went back happily. He saved his life and also the other animals lives as well. Moral Of the Story: Wisdom Can Win Mighty. Intelligence is Superior to Physical Strength. 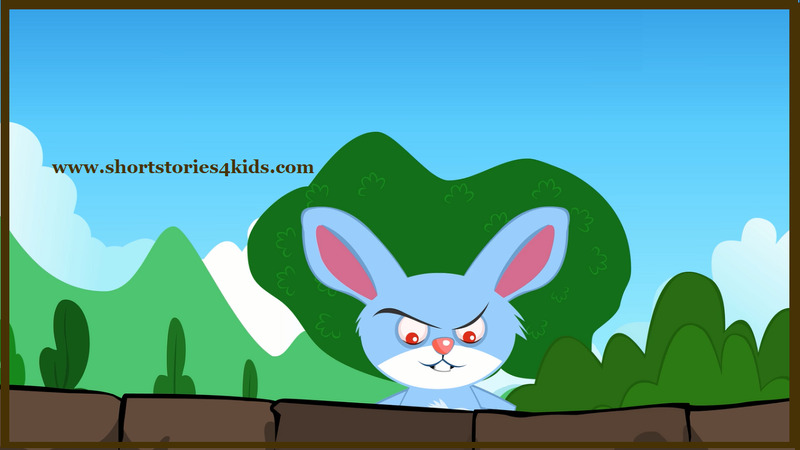 You can also download this story in PDF. I hope you all enjoyed the moral story The Lion and The Rabbit- Short Stories for Kids.